Managing core business operations is no small task, particularly for a lone entrepreneur or small startup. Fortunately, the right business tools can give you all the versatility and functionality of a full office even if you’re working with a skeleton staff. You can elevate your business operations from acceptable to outstanding simply by adopting the right apps and software solutions. Whether you’re looking for a better way to organize your finances or a more intuitive project management interface, these essential tools can take your business to the next level and earn you a respected spot in your industry. Basecamp helps you coordinate business activities with your employees or coworkers so that everyone can stay organized and on task. This program is particularly useful if you’re working remotely or building a team of freelancers who work independently. Basecamp 3 is the ideal option, offering a carefully curated suite of six tools that will help streamline communication and scheduling. With Basecamp 3, you can share essential information via message boards, real-time chats, and to-do lists. Automatic check-ins and a core schedule will highlight important dates and gently remind users of what’s coming up. Document and file storage is integrated into the tool as well, allowing you to manage and share folders containing instructions, images, research, and other important information. If you prefer a visual approach to your projects, Trello is an attractive app that lets you organize activities on “cards” pinned to your virtual Trello board. You can drag and drop ideas, to-do lists, and projects to organize your work and your thoughts. Trello lets you invite others to your board and assign them to particular cards for streamlined delegation. If you’re handling multiple projects and large teams, this offers an engaging method for managing it all. Connect to more than 35 social networks with this one simple app. You can schedule future posts so that your accounts are always active, even when you’re otherwise engaged. Allow more than one team member to manage your Hootsuite account to easily divide the work of social media management without divvying up accounts or confusing your efforts. Hootsuite monitors social activity and provides essential analytics so that you can see how your campaigns are performing and make quick tweaks if you’re not getting the results you want. With a variety of business plans, you can harness the organizational power of Hootsuite for everything from a small startup to a thriving empire. Accounting is an essential business activity in any industry, but it’s not always as intuitive or easy as you’d like. With accounting help from Sage 50, you can manage all your important financial activities. You can handle vendors and inventory, automate shipping and purchasing, record bills, track returns and product credits, forecast cash needs, and more. This is a one-stop solution for everything from processing payments to negotiating with vendors, allowing you to keep all your financial information in one place. This customer service system can help you manage and grow your relationships. 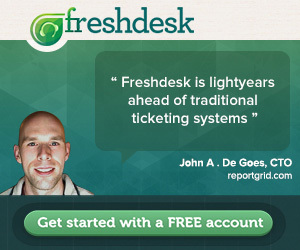 Zendesk organizes customer tickets from multiple sources, including email, social media, and your web page. It offers an intuitive suite of tools to help your customer service agents respond promptly even when they’re managing multiple inquiries. Collaboration tools make it easy to escalate a query to the proper team member or get additional assistance for major issues in just a few clicks. Zendesk tracks your customer service efforts so that you can monitor your average response times and analyze customer satisfaction levels. This gives you the essential information you need to improve your efforts and nurture customer relationships successfully. Improving your business practices is often as simple as upgrading your tools. With the right resources at your fingertips, you can stay organized with everything from your social media management to your remote employee collaboration. Use these handy tools to keep everyone on the same page while making sure that page is highlighting the information you need most. Got a smartphone? Whether you got your smartphone from AT&T Wireless or any other providers, it doesn’t matter; what matters is the following: Your smartphone is your gateway to more effective and efficient business operations. The tools mentioned above are accessible from your mobile devices, making your business operations mobile in the truest sense: Managing your people anytime and anywhere they are, anytime and anywhere you are.